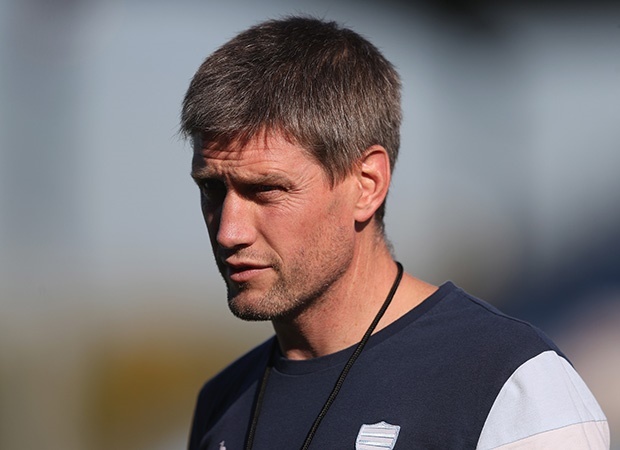 Cape Town - French club Racing 92 have confirmed that they have granted their assistant coach Ronan O'Gara an early release from his contract to join the Crusaders in New Zealand. The Top 14 club published a statement on Wednesday in which they explained that they "did not want to deprive one of its faithful servants of a great opportunity". O'Gara, who played as a flyhalf for Munster, Ireland and British and Irish Lions, started his coaching career at Racing in 2013 and was under contract with the Parisian-based outfit until 2019, but they have allowed the 40-year-old to join the current Super Rugby champions from January 1, 2018. Racing confirmed O'Gara's’ recruitment via their Twitter account. Ireland scrum coach Greg Feek, who is a former All Blacks and Crusaders prop, said on Tuesday he was confident O'Gara will be successful at the Crusaders. "The Crusaders are a big part of my rugby career and a lot of the coaching staff I know," he said. "The key thing there is it is about people first and foremost. ROG will slide in like a hand in a glove. "It is a credit to him that he's been approached. If you get the right people into the Crusader environment, then that's a win straight away. "Players will welcome him in with open arms if he goes there. The only thing he might need is an interpreter! Apart from that, I think he will enjoy it."